Sandbox games are a different kind of fun. Instead of focusing on linear game play mechanics and level design, sandbox games allow you to explore open worlds. You can interact with the entire game space, play as you choose, and engage with story only if you want to. A lot of people prefer them over regular games because of their freedom. Here are the best sandbox games for Android! 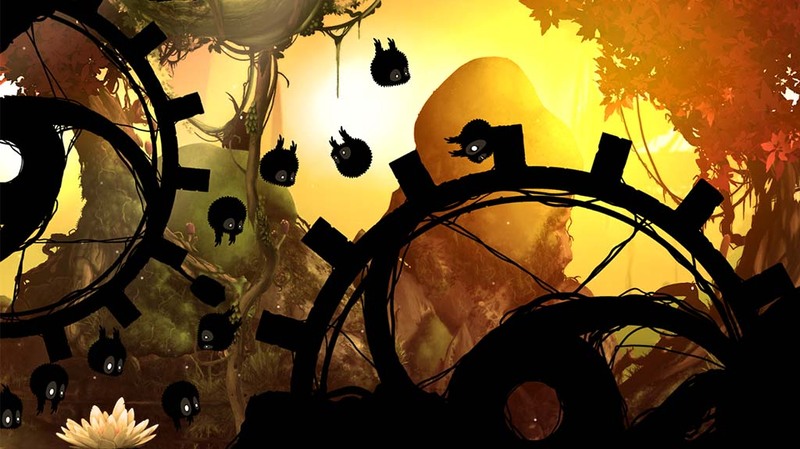 Here are some more excellent Android games worth checking out! 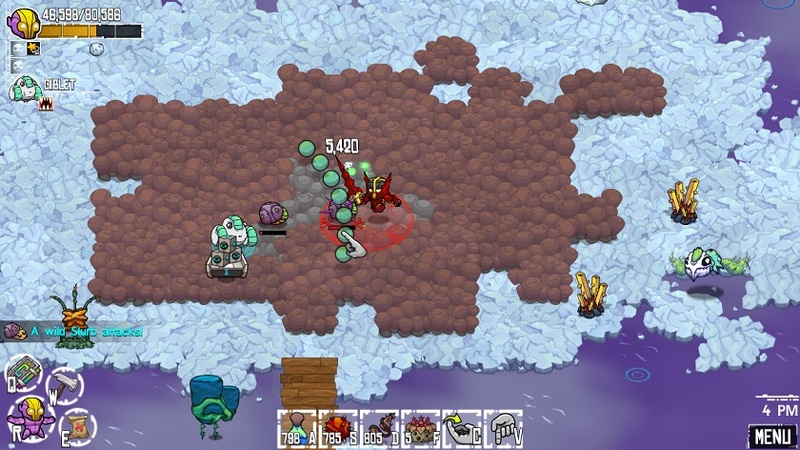 Crashlands burst onto the scene in 2016 and immediately became one of the best sandbox games out there. In this title, you play as an intergalactic trucker. The game starts with you stuck on a random planet. Your job is to defeat bad guys, craft items, and build yourself a home away from home. There is also a quest line where you can save the world while retrieving all of the packages you lost. It’s a huge game that also doesn’t take itself too seriously. You’ll have to shell out $4.99 to play it but there are also no in-app purchases. The Escapists is one of the newer sandbox games. You play as an inmate in prison. Your goal is to move about, collect and craft items, engage with inmates and guards, and eventually escape. You also have to follow the prison's rules so your stash isn't discovered. Aside from following the rules, you have free reign to do whatever you want. It also features retro graphics. That can be good or bad depending on what you think about retro graphics. It's $3.99 with no in-app purchases. The Goat Simulator series is a collection of sandbox games that definitely don’t take themselves too seriously. The core premise is that you play as a goat in a world where the laws of physics simply don’t apply. Most of the game worlds are highly interactive and you’ll earn points by doing a variety of different stunts, maneuvers, and tasks. There are four games available, each with their own special flavor. The only potential bad thing about these games are that they generally don’t have a story or any real purpose. You just play. Godus is an open-world simulator where you essentially play god. Your job is to keep watch over a civilization as they grow. The entire world is at your whim. That means you can help or hinder progress as you see fit. When it comes with interacting with society, you can be a just and loving creator, or you can hurl meteors at them. The choice is yours. It had a rough start at first However, it seems to be a relatively stable game these days. It's a freemium game in case that matters to you. Minecraft another of the most popular sandbox games of all time. For those who have been living under a rock, Minecraft is a game where you mine things, build things, kill things, and use your creativity to its maximum. Players from all over the world have enjoyed the game and its mobile version actually isn’t half bad. Updates in 2017 brought Minecraft's mobile version on par with its console and PC versions. That makes all the better, honestly. We're halfway done! Here are some more excellent games to look at! Oddworld: Stranger’s Wrath is an action platformer with an open world and tons of stuff to do. The developers boast a 20+ hour experience that includes towns, various landscapes, and industrial facilities for you to explore. It also boasts a rather unique FPS style game play that turns into a third-person platformer when you’re not in combat. On top of all of that, the game comes with fully customizable controls, a quirky storyline, boss fights, and HID gamepad support. It’s also quite cheap right now. It's not one of the purest sandbox games. However, it is pretty good. Payback 2 is one of the more underrated sandbox games. The idea is fairly similar to something like Twizted Metal. You drive a car in an area where other people are also driving. Your goal is to destroy them. It also includes the ability to race helicopters, fight tanks, race cars, and much more. It includes over 50 campaign events, custom events, and more. You essentially drop in and start doing stuff. It's actually a whole lot of fun. You can try it out for free, but it is a freemium game so do keep that in mind. Portal Knights is an action-RPG with a ton of sandbox elements. The game includes local multiplayer with up to four people, simple mechanics, an RPG style level progression, and even a crafting system. It's almost like a fantasy version of Crashlands. You roam the open world killing things and finding materials for your various adventures. There is even dual-stick controller support. This is a newer game compared to the others on the list. That's okay, though, because this one is still quite excellent. It runs for $4.99 with optional in-game stuff as in-app purchases. Terraria is one of the older sandbox games and it’s definitely one of the best. A popular way to describe the game is as a 2D Minecraft. Much like Minecraft, you’ll spend your time building things, mining for resources, crafting items, and killing bad guys. Unlike Minecraft, Terraria has boss fights, over 450 unique enemies, over 30 pets, and more. It’s a title that takes the open world concept very seriously and there is always something to do. It’s relatively inexpensive and you can demo the game for free. Titan Quest is an action RPG that was released in 2016. It features a huge world that you can explore and it’s joined with action RPG elements that will have you killing bad guys, leveling up and customizing your character, and collecting tons of gear. There is a linear story that you can follow. It faithfully recreates some famous ancient civilizations, including Greece, Egypt, Babylon, and China. It was insanely good on PC back in 2006 and it’s shaping up to be one of the best sandbox games as well. It’s a little expensive at $8.99, but there are no in-app purchases. Thank you for reading! Check out some more awesome sandbox games! If we missed any of the best sandbox games for Android, tell us about them in the comments!